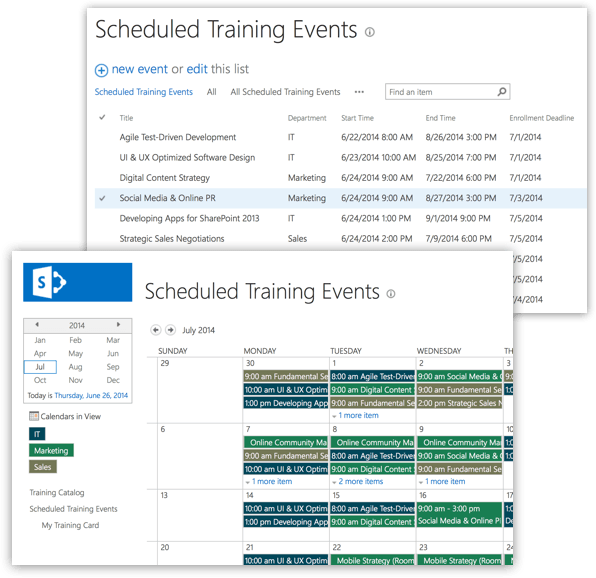 Employee Traning Management is available as a Sharepoint or Office 365 add-in for corporations of all sizes. A SharePoint application for training management from organizing events and setting up courses to obtaining feedback. Employee Training Management Reviews Recently Reviewed! Good platform for medium to large size companies. Pros: Syncs well with existing sharepoint software and has good customization abilities. Cons: A bit too much for our small company, if we had more resources we would be able to get more out of it.